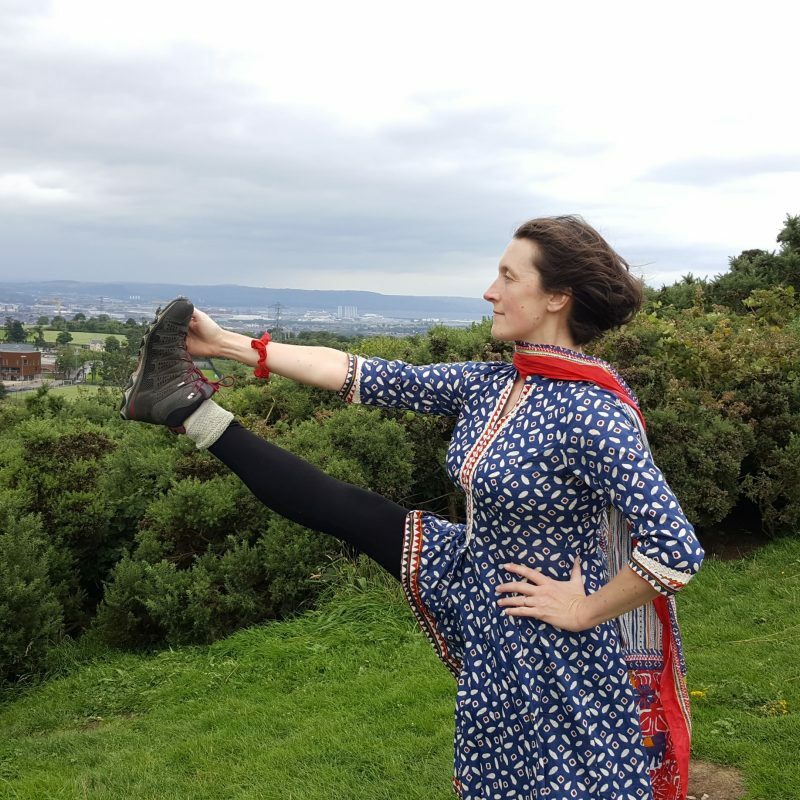 Claire is one of a handful of Junior Intermediate 3 Iyengar teachers in Northern Ireland and has developed Maitri Studio as a base for Iyengar yoga in Belfast. Claire's training and practice has spanned many years (and continues!) and she brings her extensive experience to all classes. Many people will know that Iyengar training is rigorous and thorough, covering all aspects of traditional yoga. In particular the Iyengar method is known to be helpful for all, whether already active and fit, or suffering from aches, injuries or various health conditions. Read more about Claire on her site, and about Iyengar yoga on the IY(UK) website. Claire, Louise, Rachel and Maura all teach Iyengar yoga classes at Maitri Studio under the Iyengar class pass system, while Andrew, Tracy, Eva and Miriam are also Iyengar qualified teachers with their own classes. This feature article explains it all! You can mix and match classes if you can't make the same slot each week but want to pay for a block-booking to save money. Click on the links in the calendar below (or in Andrew, Rachel, Maura or Louise's calendar) for your class to sign up and pay: choose a 10-class pass £75 (£65 conc) or a single class 1hr30 £9 (£7.50 conc) or 1hr15 £8 (£7 conc). Alternatively use the online booking form with gift voucher options on my website or login to the Tula Software app from my website or the Maitri page to keep track of your classes and events. Beginners are welcome to join any of the general level classes as well as the specific beginners classes. We encourage you to register on-line but drop-ins welcome. The next 5-week introduction to Iyengar yoga course is with Louise Saturdays 10-11.15am from 27 April 2019. This is an ideal start if you haven't done any yoga before or if you're new to using Iyengar props. It is useful but not essential to try before attending an ongoing beginners or general class. Andrew has a continuing beginners yoga class very much within the Iyengar yoga lineage on Tuesdays 6-7.15pm - an 8-week term starts on 7th May 2019 available for £60 and the single/10-class pass is valid too. You can read more about all Iyengar classes and finding the best level for you in this feature article. Interested in reading more about Iyengar yoga? There's a great resource online at YogaVastu, including online classes. We also recommend YogaSelection (website) and RoadsToBliss youtube channel for online videos to help your home practice. These workshops offer more time to delve into the postures and their effects, choosing asanas from all junior intermediate list. Book on the 'buy' page on www.claireferryyoga.net. Claire also facilitates a monthly Iyengar yoga teachers forum - all Iyengar trained teachers welcome. Claire teaches 6-7pm at the Network Centre (EBCDA) on Templemore Avenue on Tuesdays. This community class is based on anonymous donations.The class is gentle and suitable for people with back problems, fibromyalgia, stress, sore shoulders etc. No class on 6th November 2018 otherwise runs until 11th December. Claire offers yoga workshops and holidays in other locations in Northern Ireland and abroad. She is available to teach group sessions or 1:1 classes. Claire is doing the Iyengar remedial (therapy) training with Stephanie Quirk. You can find out more about Claire and about buying yoga equipment at www.claireferryyoga.net. Claire's really keen to make yoga available to people who might not otherwise have the chance, so she offers classes in the community, for charities and by supporting the Prison Phoenix Trust.